With the help of our dexterous team of professionals, we have been able to manufacture premium quality Bagging Machine (100 Bag Per Hour). These machines are used for packing various products with sole discharge for filling and weighing regular open mouth bags. We are counted among the most distinguished organizations that are engaged in manufacturing high quality Fully Automatic Bagging Machine. 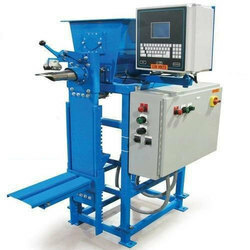 These machines are widely known for their accuracy, reliability, high capacity and durability. Offered machines are used in bagging and weighing of a variety of products or material like fertilizers, rice, sugar, grains, pulses, cereals, flour and cattle feed. 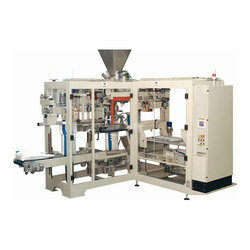 Our company is one of the well-known companies that manufacture an exclusive range of Bagging Packing Machine. Our products are manufactured from supreme grade raw material sourced from a reliable and certified dealer. These machines are well designed and are highly durable in nature. 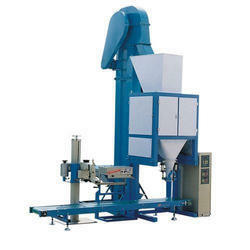 Looking for Bagging Machine ?